Card stock, ribbons, pearl beads, rhinestones and printed paper are from my stash. 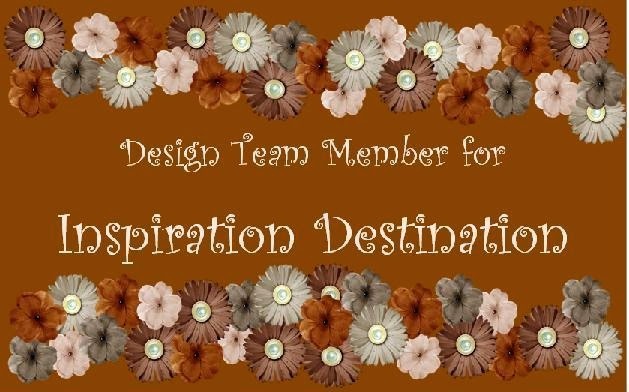 I layered the image on Spellbinders Classic Scalloped Circle dies. The butterfly is punched from an EK Success Butterfly Layering punch. 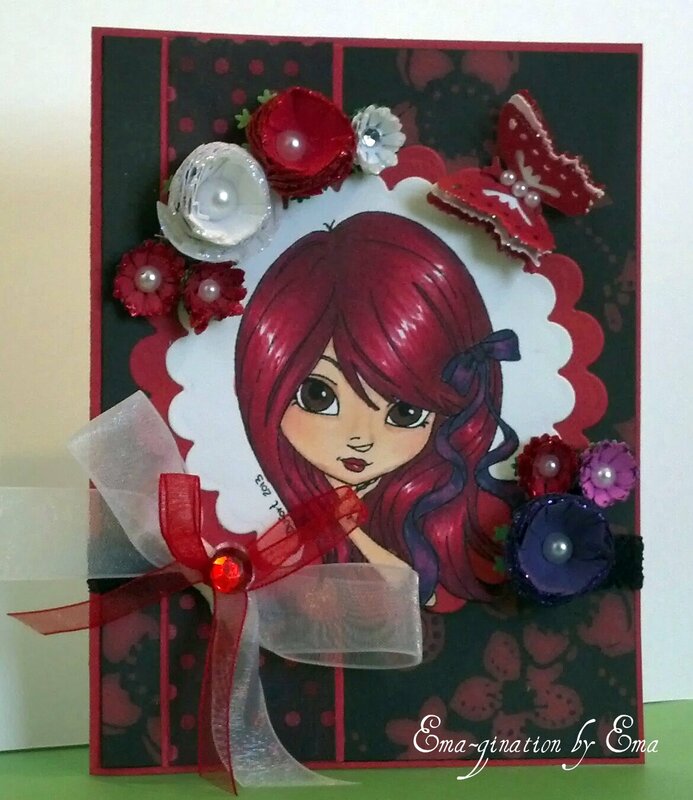 I used Stickles on the edges of the flowers; Christmas Red on the red, Stardust on the white and Purple on the purple. :) I colored the image with Copic markers.